Jasper is an open-source voice-control platform that runs on a variety of systems, including the Raspberry Pi. You can use it to easily create a voice-controlled application that can add things to your Google Calendar, play Spotify playlists, or even accept commands to control your entire home using a platform like OpenHab. Today I will show you how to install and configure Jasper on your Raspberry Pi so that you can send it voice commands and have it do cool things. Jasper vs. Alexa Recently, Amazon has open-sourced Alexa, the voice-control platform used in its Amazon Echo. Because Alexa is newer, it has fewer prebuilt modules and integrations than Jasper does; in addition, Jasper utilizes a number of different Speech To Text (STT) and Text To Speech (TTS) engines and can run in offline mode, making it fundamentally different. However, the Jasper project is not as active as Alexa. Is Jasper better than Alexa? No, it's just different. 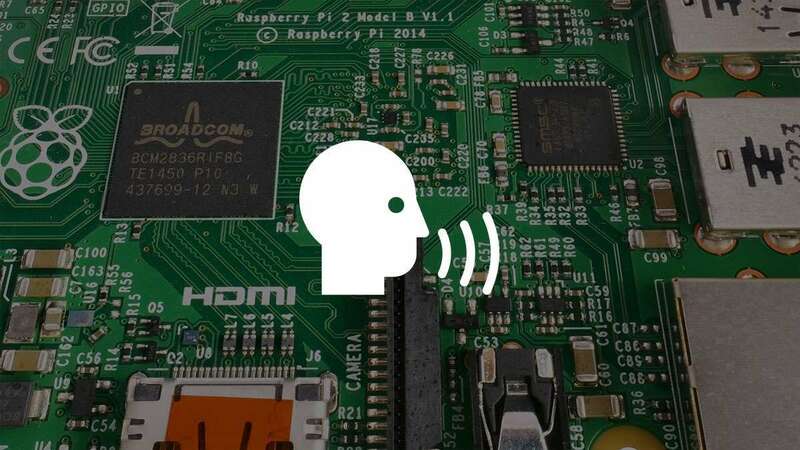 However, because Jasper doesn't require you to apply for a developer key like Alexa does, we'll start here for Raspberry Pi voice-controlled applications. Want to install Google Assistant or Alexa instead? Check out my Google Home smart mirror or learn how to install Alexa on the Raspberry Pi! If you came from the Raspberry Pi MagicMirror installation guide, then your Pi is already ready to install Jasper and you can skip to step 5. If not, download the latest Raspbian Jessie disk image and burn it onto your SD card. Connect your Pi, USB microphone, stereo speakers, HDMI cable (optional), network cable (or WiFi dongle), and AC adapter. You don't necessarily need to have a monitor available since we'll be connecting remotely to the Pi to install and run Jasper, but it might be nice to have to view the output in its native environment. For security reasons, it's advisable to change the default Raspberry Pi username and password. 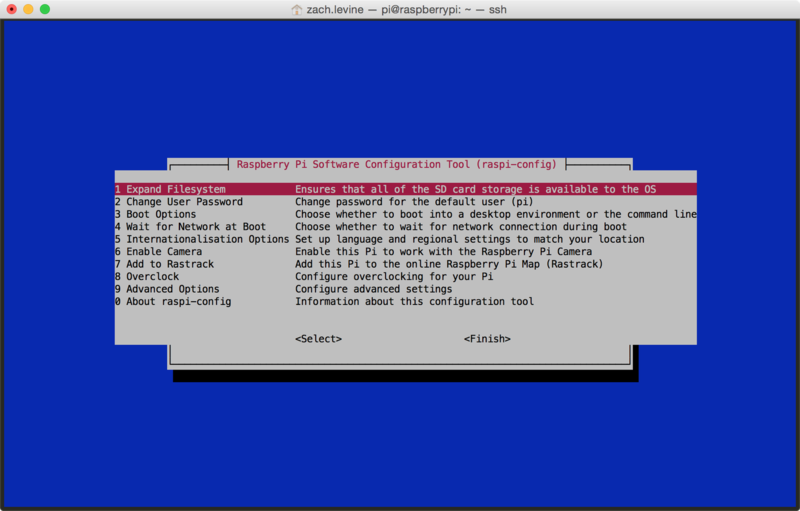 There are three primary options to install Jasper on the Pi when using Raspbian Jessie: manually, using a disk image, or with an install script. Pros: Doesn't require moving a large image file around. Cons: Can get complicated and difficult to troubleshoot; the issue is that Raspbian Jessie is too new of an operating system version and Jasper for Raspbian Jessie is neither well-documented nor well-supported. Pros: In theory, you install it and it works. Cons: The file is huge (I'm talking 30GBish huge); also, perhaps more importantly, no Raspbian Jessie image exists per the Jasper support forum. Pros: Works great, and automates much of the leg work. Richard Nelson/unixabg wrote a great install script that he shared on the Jasper support forum. We forked this script and made some minor changes to improve support for Raspbian Jessie. This is the script we'll use to install. Welcome to the jasper-installer.sh script. Edit: We'll want to choose LOCAL because (it will break if you don't)? It will take a bit to download and install all the necessary dependencies. If you're a masochist, you can also specify LOCAL and download/maintain a local TTS/STT engine. This approach is useful if you'll be using Jasper where there's no Internet, but otherwise I would run far, far away from this option (for reasons of complexity and troubleshooting). This will read Jasper's required packages from requirements.txt and install/upgrade them accordingly. This may take a while to run, so don't worry if things appear to hang (looking at you, numpy). It took about 90 minutes total for me. Now we'll set up our Jasper profile. This information will help us set up various integrations, localization of results, etc. This profile will be used for certain add-ons that will provide things like weather, email notifications, text message alerts, etc. Then, specify whether you'd rather receive notifications by text or email. You'll see a prompt stating "(Press Enter to default to PocketSphinx)". Do not do this -- type "sphinx" instead. I have no idea why this is the case, but trust me. RuntimeError: hmm_dir '/usr/local/share/pocketsphinx/model/hmm/en_US/hub4wsj_sc_8k' does not exist! Please make sure that you have set the correct hmm_dir in your profile. To fix this, you'll need to open up stt.py located at /usr/local/lib/jasper/client/stt.py. You just need to remove the word "local". You: "What's the weather like tomorrow?" Jasper comes preinstalled with a number of modules (commands) that you can use. You can also add custom modules, or create your own. Weather: "How's the weather?" Or, "what's the weather like tomorrow?" News: "What's in the news?" Gmail: "Do I have any email?" Hacker News: "What's on Hacker News?" Birthday: "Who has a birthday today?" Jokes: "Tell me a knock-knock joke." Life: "What is the meaning of life?" Many additional modules can be installed to enhance your time with Jasper. This is a fraction of the custom modules that have been written. For others not on this list, search around Github a bit. Want a module that will reply with the answer to an inside joke? (Or do something more useful than that?) You're only a few lines of code away. Problems? Questions? Post in the comments section below and I'll do my best to help you out! Or the [Jasper Support Forum] is a great place to start. If you're looking for a good Jasper project to start off with, I made a voice-activated magic mirror guide that's really straightforward.